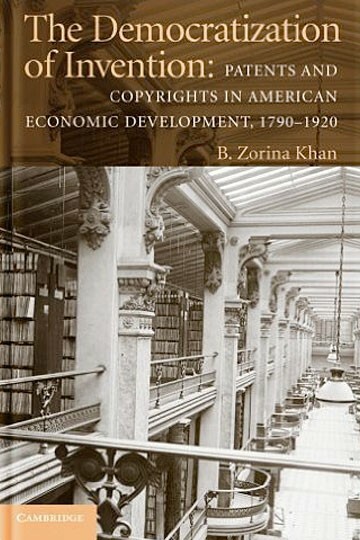 An Examination of the evolution and impact of American intellectual property rights during the ‘long nineteenth century,’ this book compares the American system to developments in the more oligarchic societies of France and Britain. The United States created the first modern patent system and its policies were the most liberal in the world toward inventors. Individuals who did not have the resources to directly exploit their inventions benefited disproportionately from secure property rights and the operation of efficient markets. When markets expanded, these inventors contributed to the proliferation of new technologies and improvements. In contrast to its leadership in the area of patents, the US copyright regime was among the weakest in the world, in keeping with its utilitarian objective of promoting the general welfare. American patent and copyright institutions promoted a process of democratization that not only furthered economic and technological progress but also provided a conduit for the creativity and achievements of disadvantaged groups.